Its offices are for rent, its website is gone, and its CEO is missing. What happened to Game Republic? Rumors flying out of Tokyo are claiming that developer Game Republic may have actually shut down. Of course, it doesn't help that the rumor mill can't get a confirmation or denial about the closure, since president and CEO Yoshiki Okamoto is "reportedly missing." Lips started flapping on the internet when it turned out that Game Republic's website had suddenly gone missing. 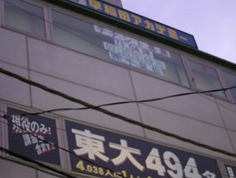 Soon after, Siliconera reported that the developer's offices are presently vacant, with a "For Rent" sign sitting in a window. Meanwhile, Okamoto had a blog that has also disappeared. It's being reported that he may have fled Japan due to what's apparently a massive amount of debt, some of which is "alleged to be from disreputable sources." No official announcement has been made about the developer's status, which makes this whole situation even weirder. That said, it's not terribly surprising if the developer did manage to quietly implode. Game Republic was founded in 2003 and made some great games, like Folklore and Majin and the Forsaken Kingdom (though these never met with a great deal of success), a ton of mediocre ones, and a couple of awful titles like Clash of the Titans and Knights Contract. Anyone who worked (or still works?) for Game Republic should feel free to drop us a note and fill us in, as inquiring minds want to know just what's going on with the studio.